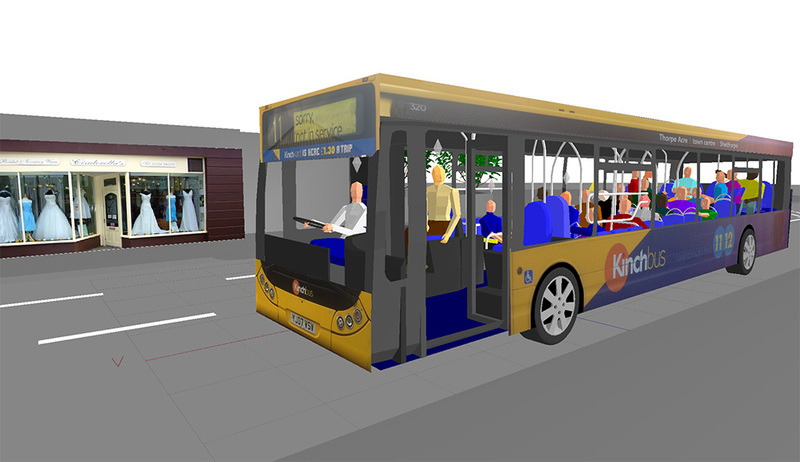 ‘Driver vision from HGVs’ has been an active research area for the SAMMIE CAD team for 6 six years, including three projects with a combined £370,000 of funding from the UK Department for Transport (DfT), Transport for London (TfL) and Transport and Environment. The DfT work was followed up in 2015 with a project for TfL: ‘Understanding direct and indirect driver vision in heavy goods vehicles’. This work involved analysing 19 top selling truck vehicles in the UK and examining the variability in blind spot size and location. 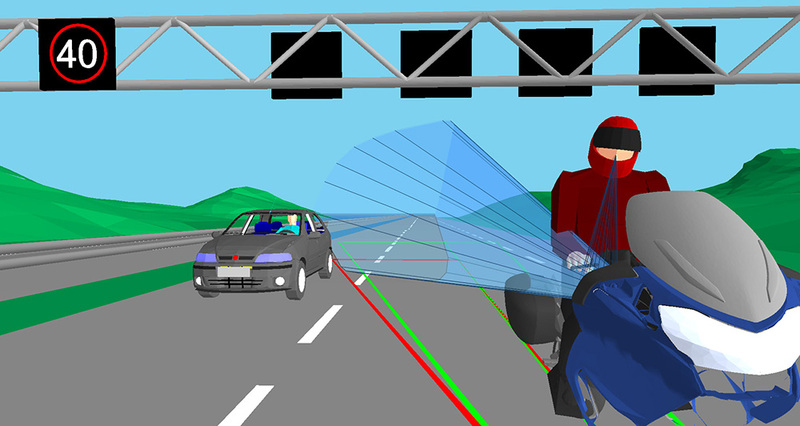 Volumetric field of view projection, where the semi-transparent projections show the volume of space that is visible to a driver through one mirror (purple in colour) and the through the passenger window (red in colour). The project was run in the context of a disproportionate number of cyclists being killed in London by collisions with construction HGVs. 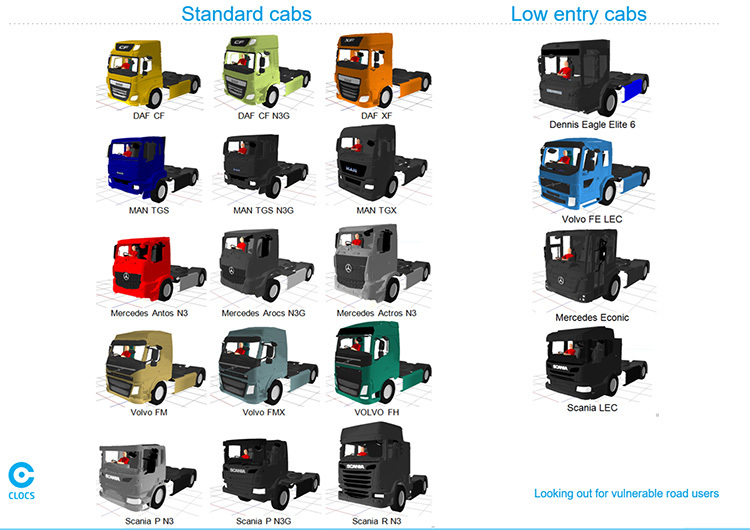 The analysis sample included low entry cabs and more traditional cab designs. 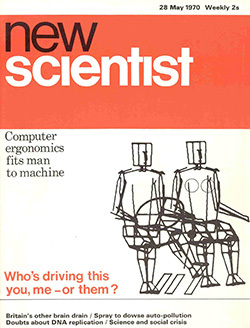 The contribution of the project was to highlight the overall effect that the height of the driver above the floor makes to the size of blind spots, but also that the design of the cab in terms of window and mirror features can improve the size of blind spots as demonstrated by the comparison between vehicles with the same driver heights. The project outcomes have been used to lobby the European Parliament for regulation that fosters improved cab designs for urban use. 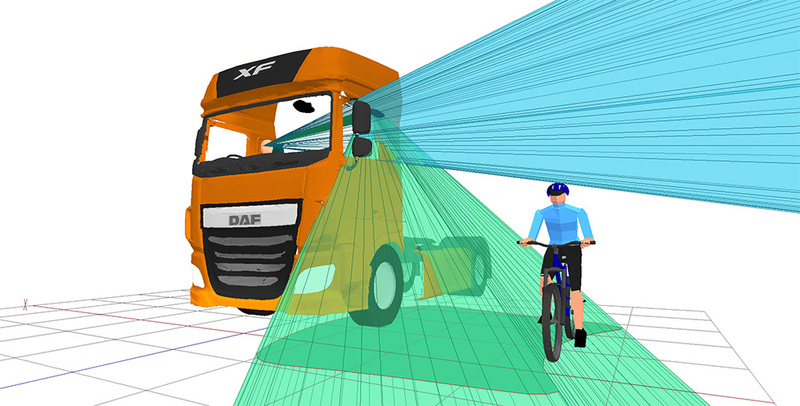 Volumetric field of view projection of all of the mirrors and windows for one truck projected simultaneously, which allows gaps in driver vision to be identified.